This year's marathon for the hard-working is composed of three unique films – a huge zombie hit from South Korea, a Japanese Oscars candidate, and a phenomenal Thai comedy. Last year's Corporate Night filled Muranów cinema to the last seat. The films presented this year, take the protagonists away from narrow labyrinths of office cubicles. There are some new challenges in store for a sleepless freelancer, a girl boxing with reality, and an egoistic manager who leaves his Excel sheets to fight hordes of zombies on a train rushing through Korea. The theme of the evening is not just the life of contemporary employees filtered through cinematic conventions, but also their struggles with, broadly understood, reality. The program includes a new production by Nawapol Thamrongrattanarit, awarded at the 7th Five Flavours - the director will be a special guest of the event. 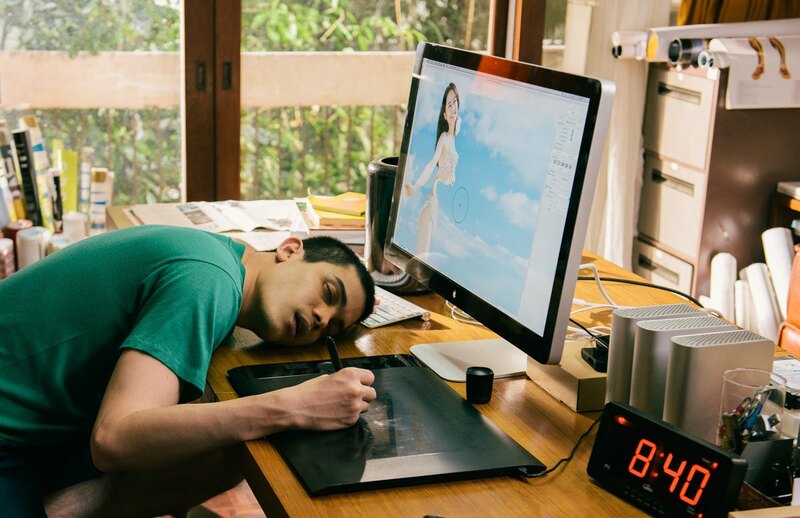 The film is a subversive story about a Photoshop master, a successful fusion of artistic cinema and a romantic comedy which gained a lot of popularity in Thailand. The two other productions from the program are a Japanese independent hit with an outstanding performance by Sakura Ando (known from last year's winner, "0.5 mm"), and a thrilling Korean blockbuster, taking other distribution markets by storm. The Corporate Night comes back stronger than ever on November 19 in Muranów cinema. Between the screenings, the audience will be invited for original, Japanese OYAKATA meals, offered in three flavours – classic, wasabi beef, and teriyaki chicken. OKAYATA means master in Japanese – join us for a taste of the masterful OKAYATA meals!